I have to admit, ‘Ironbound’ was the first album of Overkill’s that I heard. I had read a couple of reviews and though... of all the thrash bands, why have I never checked them out? Sure, Metallica, Slayer, Megadeth, Testament, Anthrax and Exodus were part of my musical DNA with regards to US thrash, but for some reason I had just never thought to give Overkill a listen. 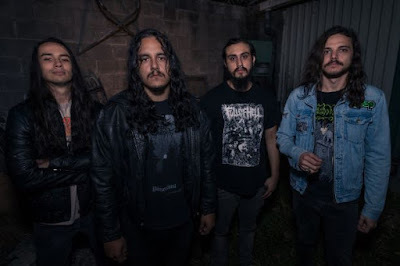 These prolific thrash warriors are churning out one album every two years and touring constantly- they are very much their own cottage industry, working away at a level above cult status but by no means a household name. ‘Ironbound’ was a superb place to start- with so many albums it is hard to know what to go for. I started right with this- it is, to my ears, their best record and also their best produced. The sound is pro-tools-y and state of the art in terms of punch and dynamics. As soon as the opener ‘The Green and Black’ gets going, you know what to expect: pure thrash, metallic bass and Blitz’s searing screech over the top. Songs are long and complex in structure with riffs to die for courtesy of Dave Linsk. Overkill’s lineup has been steady for some time now- Tim Mallare is not missed at all behind the kit as Ron Lipnicki double kicks and thrashes his way into the listener’s consciousness- via the use of triggers on some parts of the kit, though, I suspect. A quirk is that Derek “The Skull” Tailer does not play rhythm on the record. He contributes backing vocals but leaves Linsk to handle the guitars exclusively. Odd, but it allows for the lock-tight precision on display across the album as DD Verni brings the low end. The title track cements the early indication that album will be a ripper and the adrenaline rush of ‘Bring Me The Night’ recalls everything that is good about “Kill ‘Em All”- but with better playing and production. Pure, joyous thrash of a distinctly American variety. ‘The Goal Is Your Soul’ is a very strong track indeed- great hooks, great head nodding rhythms. ‘Give A Little’ continues the strong refrains- anthemic in places with a great positive vibe lyric to boot. The latter half of the album is perhaps darker than the first. ‘Endless War’ is a total thrash fest while ‘The Head and Heart’ is a little more measured (but still rampant). ‘In Vain’ is another strong rocker, while ‘Killing for a Living’ is dark in theme and delivery. ‘The SRC’ closes the record in strong style. There is not a bad track here- astonishing considering the album’s playing time- and the vibe is also consistent. The record is dark and heavy but with enough light and shade to keep things interesting. Overkill have never made a bad album- some have been better than others and some have been classics (like Motorhead). For me, ‘Ironbound’ is the very best of their latter day output- the songwriting, musicianship and production all coalesce to produce a truly classic thrash record. I love Exodus’ latter day stuff, but this record is even better than that in my view. It certainly blows away anything by the big four (Endgame is superb, though) and Testament from the last twenty years- and some of those bands have released some damn good records in that time (no, not Reload!). Overkill are a true street level band- uncompromising, resolutely blue collar with a strong work ethic and killer on a live stage. While their contemporaries get the plaudits and the money, Overkill plough onwards- staying lean, mean and hungry in the process. Try out this album: Overkill could be your new favourite band... and then you get to work your way through the back catalogue too! 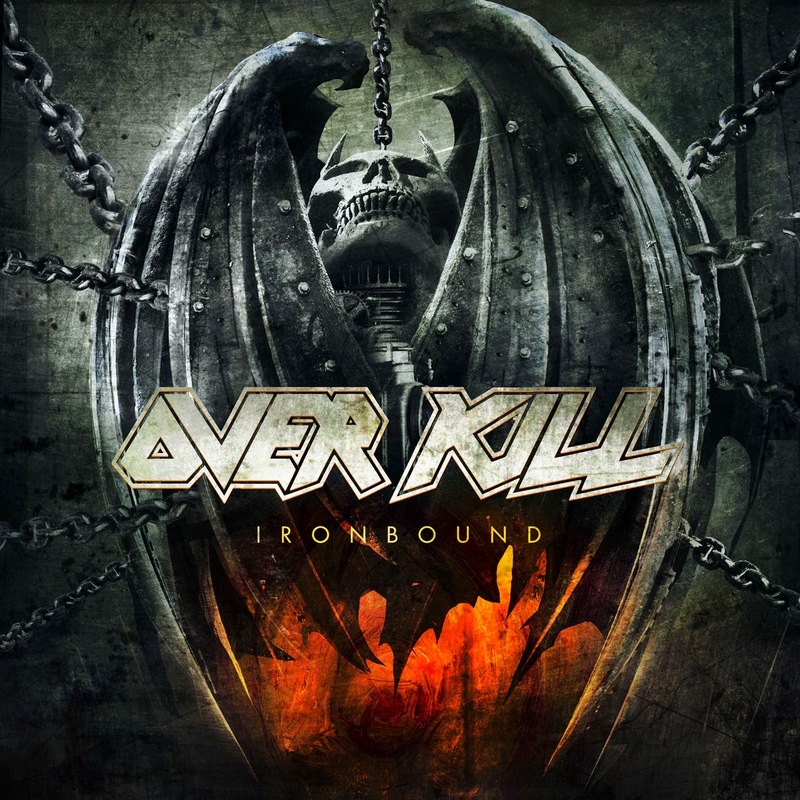 ‘Ironbound’ is the fifteenth full length studio album by Overkill, which was released on January 29, 2010 in Europe on Nuclear Blast and in the U.S. on February 9, 2010 on eOne Music. 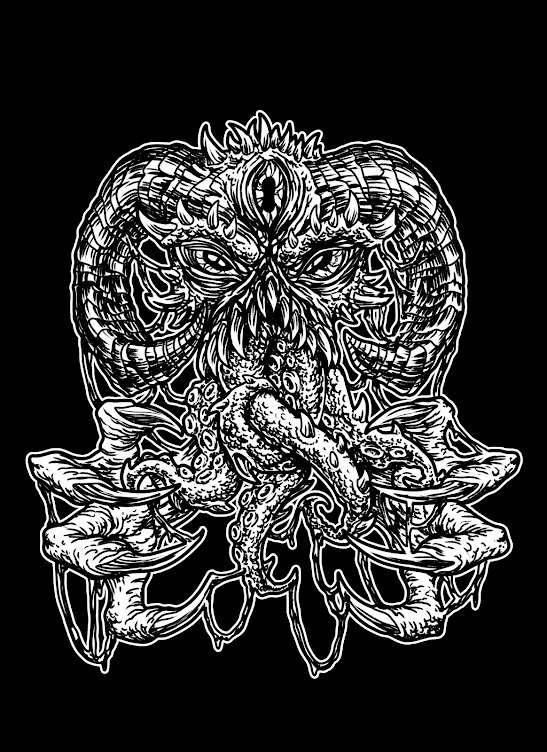 It was their follow up to the 2007 album ‘Immortalis’, and their first release on their current labels Nuclear Blast and E1 Music. This was Overkill's first album to chart on the Billboard 200 in 17 years. ‘Ironbound’ sold over 4,100 copies in its first week in the U.S..
A music video was made for the song "Bring Me the Night".